It was already late when we walked along the river on the lookout for some food in Lisbon the other day. We were a larger group of conference participants. We were hungry and not very picky. 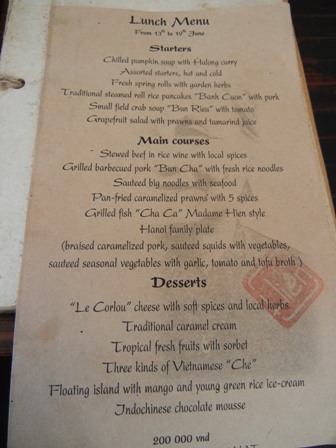 That’s the reason that I do not remember the name of the restaurant. However, it turned out to be a good choice. As so often, the group wanted me to select the wine. Not an easy undertaking when everybody is fancying different types of food. Fortunately, the waiter was very helpful in the selection of wine. It is years that I have visited Portugal, and I am not on a sure footing regarding it’s wines. 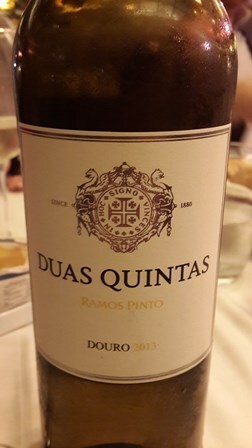 The white wine I choose was from the Douro, one of my favourite wine region in Portugal. I had visited with my family in 2008 and treasure the wonderful memories of the Douro valley. Ramos Pinto is a well know producer of mainly port and red wines. Casa Ramos Pinto produces since 1880. Since 1990 it is part of he Roederer Group. João Nicolau de Almeida joined Casa Ramos Pinto in 1976 and is one of the main architects of its success in modern time. The American magazine Wine & Spirits chose him as “Man of the year 1998”. Since 2001 he is managing director. Also the whites of Casa Ramos Pinto are of great significance. 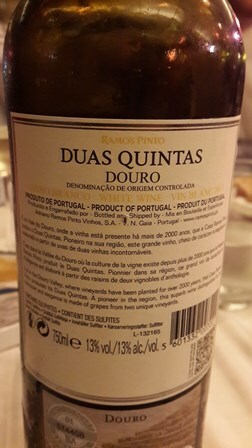 Duas Quintas is a blend of traditional varieties (50% Rabigato, 40% Viosinho, 10% Arinto), has 13% alcohol, a ph level of 3.12. and an acidity of 5.8%. Golden in colour, bright and clean, the aromas of citrus and ripe fruit are very pleasant on the palate. The wine is full bodied and has a good structure. 2013 was a ripper of a vintage which shows in the wine. It was the right choice. 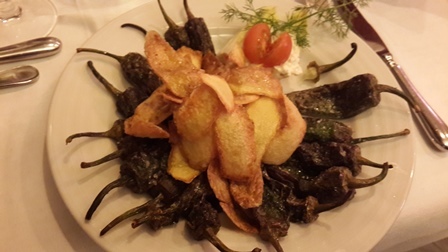 Even my at times spicy appetizer, grilled peppers with chips, was well suited to the wine. 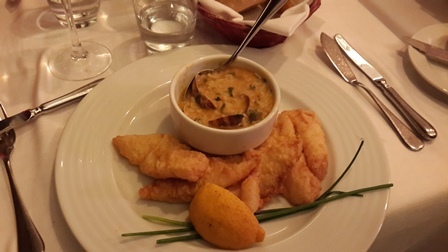 And the main dish, pieces of white fish, went also very will with the fine citrus aromas of the wine. I wish we could have stayed longer. I have to find the restaurant again. It is near the congress centre, one crosses the main road and walks upriver. Easy. Furthermore, I should visit again the Douro region. I have such fond memories. I know, there is never enough time to explore all the fabulous wines of a place. This entry was posted on Tuesday, December 23rd, 2014 at 7:28 pm and is filed under culture, food, food and wine, wine, wine regions, wineries. You can follow any responses to this entry through the RSS 2.0 feed. You can leave a response, or trackback from your own site.